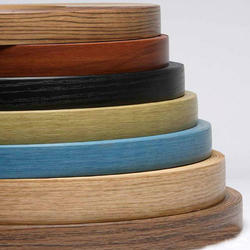 Manufacturer of a wide range of products which include wood edge band, wood grain pvc edge band, wooden grain pvc edge band, prime wood grain pvc edge band, wooden grain pvc edge tape and wooden pvc edge band tape. Keeping in mind ever-evolving requirements of our respected clients, we are manufacturing a premium quality range of Wood Edge Band. We are ranked amongst the trusted firms engaged in manufacturing a wide range of Wood Grain PVC Edge Band. With enriched industrial experience and knowledge, we are providing an excellent range of Prime Wood Grain PVC Edge Band. 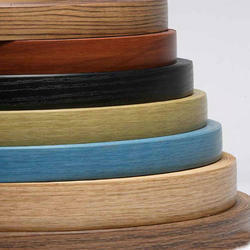 With enriched industrial experience and knowledge, we are providing an excellent range of Wooden Grain PVC Edge Tape. 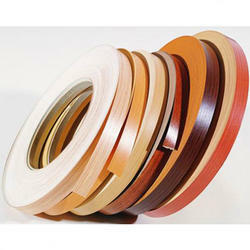 With enriched industrial experience and knowledge, we are providing an excellent range of Wooden PVC Edge Band Tape. 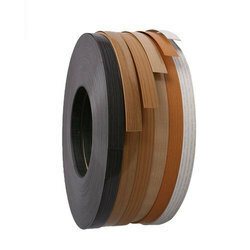 With enriched industrial experience and knowledge, we are providing an excellent range of 300 M Wood PVC Edge Band Tape. The world of high-gloss PVC Edge Band and the spectrum of corresponding gloss levels are vast. Based on the customer requirement and area of application you can select the optimum surface with the right gloss level. Appears recognises these differences and, in response, also offers the super-high-gloss finish, matched to corresponding boards and laminates in addition to the high-end mirror gloss surface. With enriched industrial experience and knowledge, we are providing an excellent range of 30 M Wooden PVC Edge Band Tape. With enriched industrial experience and knowledge, we are providing an excellent range of Prime Solid Color PVC Edge Band.